This book positions imagination as a central concept which increases the understanding of daily life, personal life choices, and the way in which culture and society changes. Case studies from micro instances of reverie and daydreaming, to utopian projects, are included and analysed. The theoretical focus is on imagination as a force free from immediate constraints, forming the basis of our individual and collective agency. In each chapter, the authors review and integrate a wide range of classic and contemporary literature culminating in the proposal of a sociocultural model of imagination. The book takes into account the triggers of imagination, the content of imagination, and the outcomes of imagination. At the heart of the model is the interplay between the individual and culture; an exploration of how the imagination, as something very personal and subjective, grows out of our shared culture, and how our shared culture can be transformed by acts of imagination. 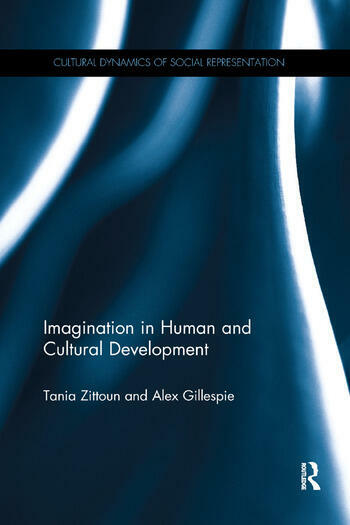 Imagination in Human and Cultural Development offers new perspectives on the study of psychological learning, change, innovation and creativity throughout the lifespan. The book will appeal to academics and scholars in the fields of psychology and the social sciences, especially those with an interest in development, social change, cultural psychology, imagination and creativity. Tania Zittoun is Professor at the Institute of Psychology and Education at the University of Neuchâtel, Switzerland. She studies human development through the lifecourse, with a particular focus on how people make sense of, and create, their own trajectories. Alex Gillespie is Associate Professor in Social Psychology at the London School of Economics, UK. He studies social interaction, specifically how it produces novelty, creates our sense of self, and enables society to reproduce itself.